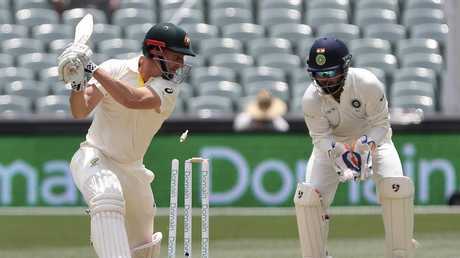 Only a stoic effort from local hero Travis Head saved the hosts from total collapse, and kept his team alive, as India's spin king Ravi Ashwin locked in on the Aussie left-handers and sent a serious message for the series. The Aussies couldn't score runs. The run rate hovered just over two an over for most of a tough day. But they could lose wickets, at regular intervals too as, just like the Indians did on day one, too many batsmen gave their innings away. 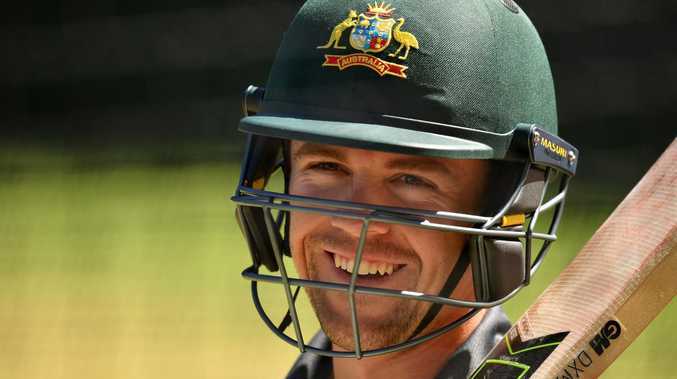 "The defensive mindset by the Australian batsmen at home is something I've not seen before in my experience," he said on Twitter. Maybe it was because attacking hadn't worked. Indian captain Virat Kohli, his team's on-field rabble-rouser, turned the volume up to 11 and intensified pressure on a batting line-up that boasted more question marks than the Riddler's bright green suit. It was a total that looked like 1000 to the Aussie bats who played and missed as much as they hit - dot balls topped 400 - and runs became a treasure requiring a map they didn't have. The numbers roll off like soccer scores. Single figure after single figure are Marsh's return in his past six Test innings. 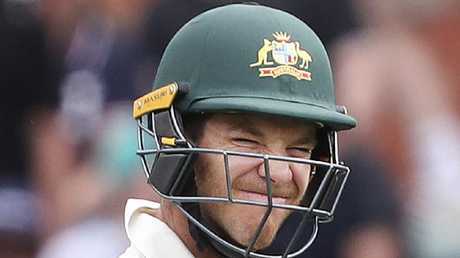 No top five batsman has endured a worse run in over 100 years. 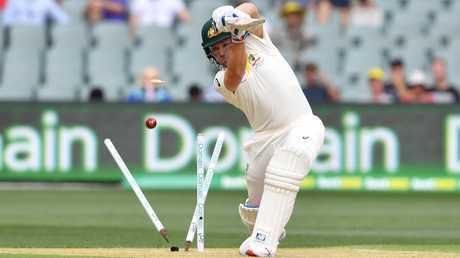 Peter Handscomb will hang his head in a similar way he did his bat as he got out flashing.